The reed relays comprise of reed switches and a magnetic coil within a sealed envelope and are in the circuit; this electronic switching mechanism is controlled by an electromagnet applying the magnetic field. 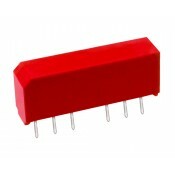 Here at Rhopoint Components we offer a wide range of reed relays from an industry leading manufacturer Coto Technology. Coto Classic™ Reed Relays offer a variety of package sizes (including non-standard), pinouts, switching currents, multi-pole configurations and other selectable properties to cater for most applications. Coto Classic™ relays are all 100% tested and carry the highest electrical test specification available within the reed relay industry, that is why they are a popular choice for many applications where reliability is critical, including automated test equipment and instrumentation, medical or security equipment. The 2200-2301 reed relay from Coto features a coil voltage of 5VDC with a switching voltage of 150V and switching current of 0.5A. The 2200 series from Coto are considered ideal for high speed switching compared to electromechanical relays, very small footprint of 0.17in2and have an electrostatic shield. They have hermetically sealed contacts for long life and their epoxy coated steel shell provides magnetic shielding. The 2200-2301 is ideally suited to the needs of automated test equipment and RF requirements, specifically engineered for OEM designs and maintenance of existing production fixtures. The 2200-2302 reed relay from Coto features a coil voltage of 5VDC with a switching voltage of 150V and switching current of 0.5A. 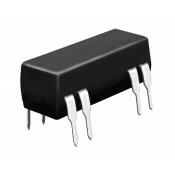 The 2200 series from Coto are considered ideal for high speed switching compared to electromechanical relays, very small footprint of 0.17in2 and have a coaxial shield. They have hermetically sealed contacts for long life and their epoxy coated steel shell provides magnetic shielding. The 2200-2302 is ideally suited to the needs of automated test equipment and RF requirements, specifically engineered for OEM designs and maintenance of existing production fixtures. The 2204 series reed relays from Coto features coil voltage options of 5VDC and 12VDC with optional electrostatic shield for reducing capacitive coupling, coaxial shielding for 50Ω impedance. The 2200 series from Coto are considered ideal for high speed switching compared to electromechanical relays, very small footprint of 0.17in2. They have hermetically sealed contacts for long life and their epoxy coated steel shell provides magnetic shielding. The 2204 series is ideally suited to the needs of automated test equipment and RF requirements, specifically engineered for OEM designs and maintenance of existing production fixtures. The 2211 series reed relay from Coto features coil voltage options of 5VDC or 12VDC with a switching voltage of 100V and switching current of 0.25A. The 2200 series from Coto are considered ideal for high speed switching compared to electromechanical relays, very small footprint of 0.17in2. They have hermetically sealed contacts for long life and their epoxy coated steel shell provides magnetic shielding. The 2211 series are ideally suited to the needs of automated test equipment and RF requirements, specifically engineered for OEM designs and maintenance of existing production fixtures. The 2332 surface-mount multi-pole reed relay series from Coto features available coil voltage options of 5VDC and 12VDC with a switching voltage of 200V and switching current of 0.5A. 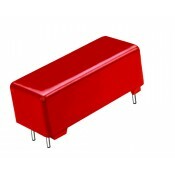 The 2332 series is designed to offer the densest packaging available in a multi-pole reed relay. Magnetically shielding steel shell with optional coaxial shield and electrostatic shield. They have hermetically sealed contacts for long life and high reliability. The 2332 series are available with custom pin-outs as well as custom designs to meet particular applications. Custom pin-outs as well as custom designs are available to meet particular applications. For further information regarding coil specifications, contact ratings and relay specifications please see the datasheet in the Technical Library tab. The 2333 surface-mount multi-pole reed relay series from Coto features available coil voltage options of 5VDC and 12VDC with a switching voltage of 200V and switching current of 0.5A. The 2333 series is designed to offer the densest packaging available in a multi-pole reed relay. With magnetically shielding steel shell. 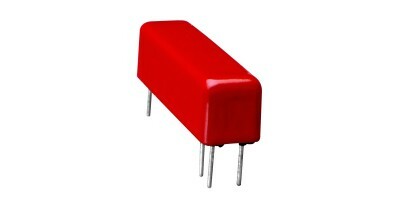 They relays have hermetically sealed contacts for long life and high reliability. The 2333 series are available with custom pin-outs as well as custom designs to meet particular applications. The 2341 surface-mount multi-pole reed relay series from Coto features available coil voltage options of 5VDC and 12VDC with a switching voltage of 200V and switching current of 0.5A. 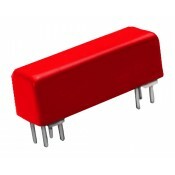 The 2341 series is designed to offer the densest packaging available in a multi-pole reed relay. Magnetically shielding steel shell with optional coaxial shield and electrostatic shield. The 1 Form C model is constructed with individual switch capsules for the normally open and magnetically biased normally closed contacts which are more reliable than the spring actuated 1 Form C reed switches. They have hermetically sealed contacts for long life and high reliability. The 2341 series are available with custom pin-outs as well as custom to meet particular applications. The 2342 surface-mount multi-pole reed relay series from Coto features available coil voltage options of 5VDC and 12VDC with a switching voltage of 100V and switching current of 0.25A. 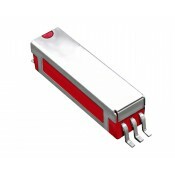 The 2342 series is designed to offer the densest packaging available in a multi-pole reed relay. Magnetically shielding steel shell with optional coxial shield and electrostatic shield. They have hermetically sealed contacts for long life and high reliability. The 2342 series are available with custom pin-outs as well as custom designs to meet particular applications. The 2904 series reed relay from Coto features available coil voltage options of 5VDC and 12VDC with a switching voltage of 200V and switching current of 0.5A with optional Electrostatic shield for reducing capacitive coupling, coaxial shielding for 50Ω impedance. The 2900 series from Coto are considered ideal for high speed switching compared to electromechanical relays, very small footprint of 0.2in2. They have hermetically sealed contacts for long life and their epoxy coated steel shell provides magnetic shielding. The 2904 series are ideally suited to the needs of automated test equipment and RF requirements, specifically engineered for OEM designs and maintenance of existing production fixtures. The 2911 series reed relay from Coto features available coil voltage options of 5VDC and 12VDC with a switching voltage of 150V and switching current of 0.25A with optional electrostatic shield for reducing capacitive coupling, coaxial shielding for 50Ω impedance. The 2911 series from Coto are considered ideal for high speed switching compared to electromechanical relays, very small footprint of 0.2in2. They have hermetically sealed contacts for long life and their epoxy coated steel shell provides magnetic shielding. The 2911 series are ideally suited to the needs of automated test equipment and RF requirements, specifically engineered for OEM designs and maintenance of existing production fixtures. The 3501 surface-mount low thermal EMF reed relay series from Coto features available coil voltage options of 5VDC and 12VDC with a switching voltage of 200V and switching current of 0.5A. The 3501 series is designed to offer a low thermal EMF range from <0.5µV to <5µV. An epoxy coated steel shell provides magnetic shielding, with hermetically sealed contacts for long life and high reliability. The 3501 series is ideally suited to the needs of instrumentation, data acquisition and process control. The 3502 surface-mount low thermal EMF reed relay series from Coto features available coil voltage options of 5VDC and 12VDC with a switching voltage of 200V and switching current of 0.5A. The 3502 is designed to offer a low thermal EMF range from <0.5µV to <5µV. An epoxy coated steel shell provides magnetic shielding, with hermetically sealed contacts for long life and high reliability. The 3502 series is ideally suited to the needs of instrumentation, data acquisition and process control. The 3540 surface-mount low thermal EMF reed relay series from Coto features available coil voltage options of 5VDC and 12VDC with a switching voltage of 500V and switching current of 0.5A. The 3540 series is designed to offer a low thermal EMF range of <3µV and <5µV. An epoxy coated steel shell provides magnetic shielding with hermetically sealed contacts for long life and high reliability. The 3540 series is ideally suited to the needs of instrumentation, data acquisition and process control. The 3602 surface-mount low thermal EMF reed relay series from Coto features available coil voltage options of 5VDC and 12VDC with a switching voltage of 150V and switching current of 0.25A. The 3602 series is designed to a offer low thermal EMF range of <0.5µV to <5µV with an epoxy coated steel shell providing magnetic shielding, an electrostatic shield as standard for reducing capacitive coupling, as well as hermetically sealed contacts for long life and high reliability. The 3602 series is ideally suited to the needs of instrumentation, data acquisition and process control.